Many teachers use rubrics as a way to rate student performance. They are a great tool to provide feedback to students, as well as provide students with a benchmark before they even start the assessment. With the push to include more technology in the classroom, filling out a rubric with a pen and paper seems a like taking a step backwards. 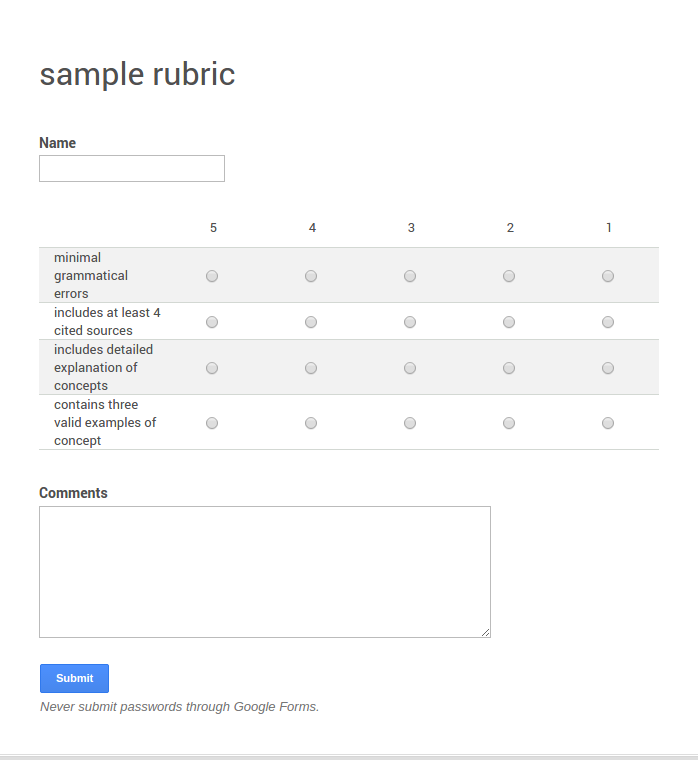 There are some cool tools like Doctopus and Goobric that allow a rubric to be attached to an assignment, and it works through Google classroom, but sometimes it just doesn't work the way you want. I've run into issues with these scripts many times, to only find myself ditching the technology for pen and paper. 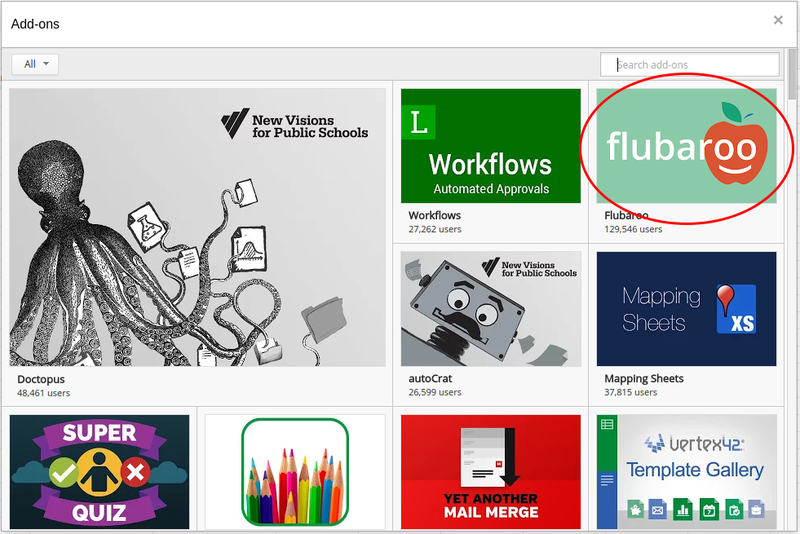 Here is a fail-safe approach to digitizing your rubric. Insert a text question "name"
Depending on how you set up your rubric, you could even set up an auto-grade function with an add-on, or write a short equation to auto-grade for you. Here's how. Where "!" is the text you have in your form and the number 4,3,2,or 1 is the value you wan't it to associate with.